As indicated by David Ayer’s tweet on Sunday, Tuesday night was big for Warner Bros’. D.C. expanded universe with a new Suicide Squad trailer that aired during the Dawn of the Justice League, which accompanied CW’s The Flash. The feature includes soundbites from stars Gal Gadot (Fast & Furious 6), Chris Pine (The Finest Hours) as well as director Patty Jenkins (Monster). All said that this would very much be an origin story. “We are going to see her coming of age, the entire history, what’s her mission,”Gadot said in the clip. Pine also alluded to the importance of the film since it’s the first solo superhero film featuring a woman character in the lead in more than 10 years. Telling a story like this now is pivotal and important. The story of a very powerful woman. 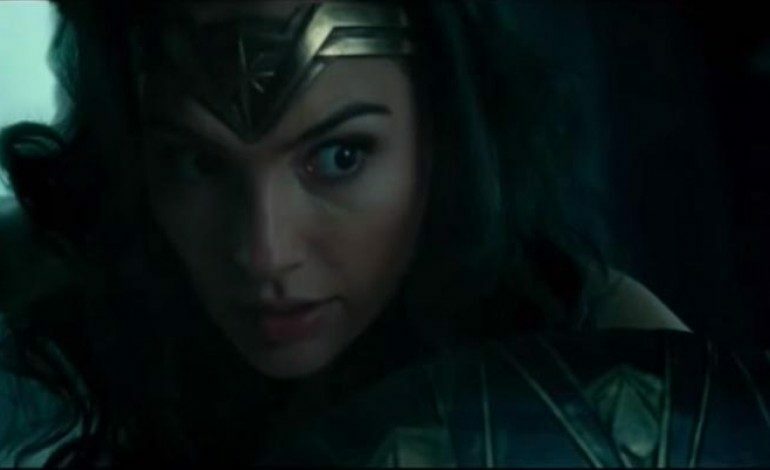 The footage itself shows Wonder Woman traveling to earth, riding a horse – no invisible jet as far as we can tell – and fighting armed soldiers. There is also a brief glimpse of her in Batman v. Superman: Dawn of Justice, getting in a car while Bruce Wayne (Ben Affleck, Live By Night) watches. Wonder Woman is set to release June 23, 2017, before Justice League: Part One. We’ll get our first full look at her in Batman v. Superman: Dawn of Justice when it releases March 25. You can watch the full video below.